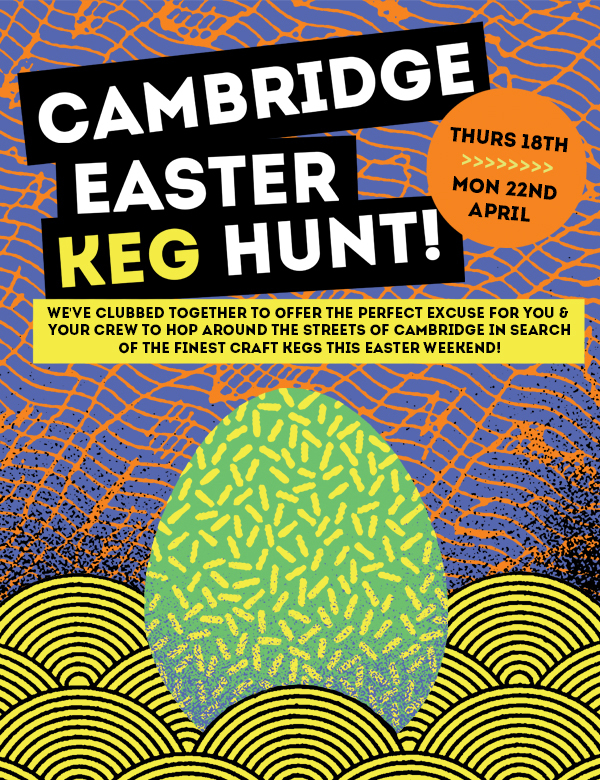 The Cambridge Brew House is the perfect pub in Cambridge to meet friends, enjoy fine beers, kick back and watch the game whilst sampling a tempting selection of delicious fresh food. Relax in the bar while Mark is hard at work perfecting our own range of ales from the on-site micro-brewery, or sample some local and international craft beers from our ever changing range. We like to call it the complete pub! 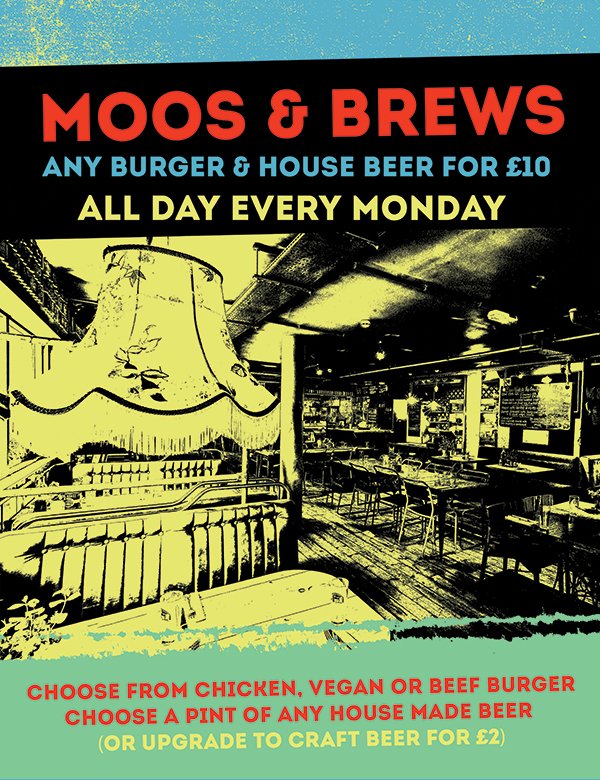 A Brew House burger and a drink for just £10!! 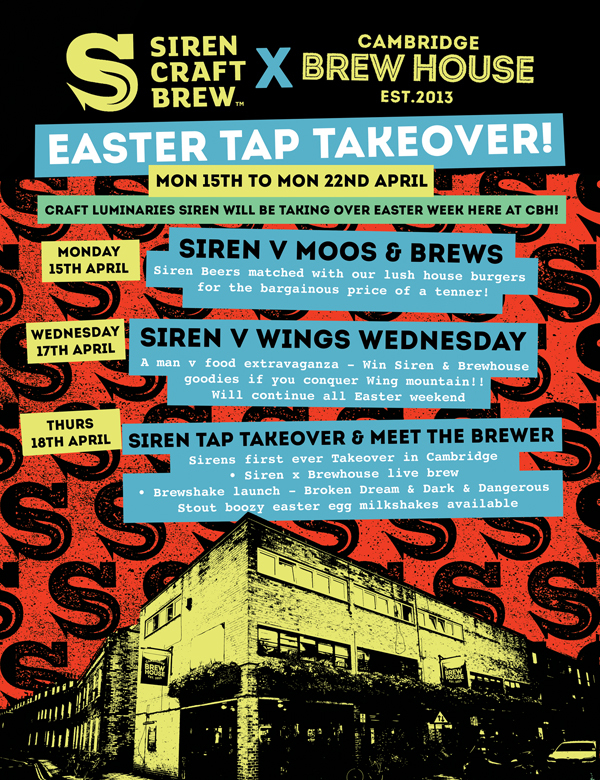 Craft luminaries Siren will be taking over Easter week here at Cambridge Brew House! 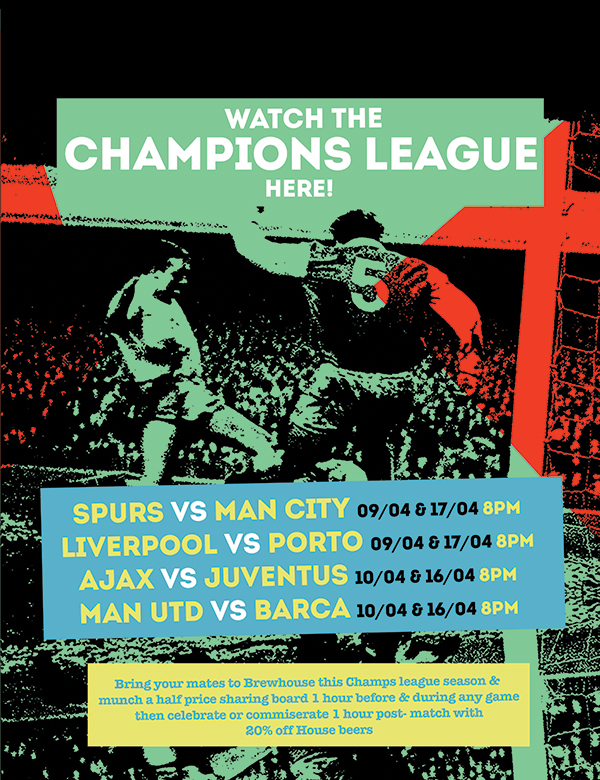 Live brewery demos plus the launch of our BREWSHAKE..